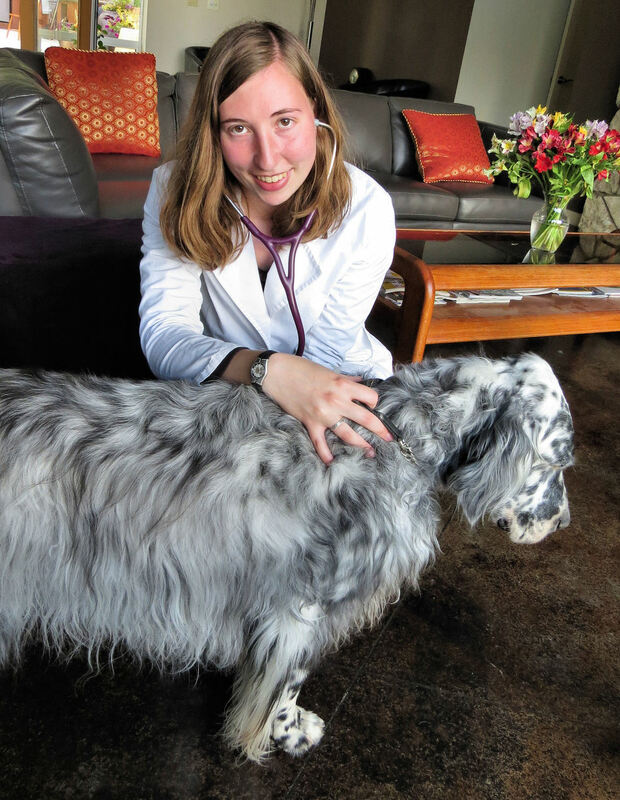 Sea to Sky Holistic Vet is a specialized house and farm call only veterinary practice offering high quality personalized holistic veterinary care tailored to the unique needs of your animal. For more information about equine services see our equine website www.SeatoSkyEquine.com. Sea to Sky Holistic Vet is a specialized house and farm call only vet focused exclusively on holistic care so all surgeries (including dog and cat dentistry), xrays, diagnostic ultrasound, bloodwork and emergency/urgent care is referred to other trusted veterinary clinics. A partial list of emergency clinics in western Washington can be found at the bottom of this page. Rehabilitation and Conditioning aims to restore and improve fitness and function. While rehab is extremely beneficial for reducing inflammation and pain and aiding in return to normal function and performance after an injury it’s also a powerful tool to help prevent injury and optimize health, well being and performance. As part of a holistic, integrative treatment plan techniques used can include therapeutic exercises and stretches, exercise/conditioning programs, as well as acupuncture, chiropractic, laser therapy, electrotherapy, massage/Tui-na, and therapeutic ultrasound. In addition to rehab work during the appointment Dr. Aja will also work with you to develop a plan for exercises you can do between appointments to help your pet. Acupuncture is part of Traditional Chinese Veterinary Medicine which looks at the whole patient and tries to treat underlying issues rather than just focusing on symptoms. Acupuncture is a technique using very small needles to stimulate points on the body. This results in pain relief, decreases inflammation and normalizes blood flow and nerve function. Acupuncture can help in the treatment and prevention of many diseases including allergies, arthritis, kidney disease, gastrointestinal disease, lameness, thyroid disease, metabolic disease, cancer, and behavioral problems. It can also be a tool to optimize the health and performance of equine and canine athletes. Dr. Aja is a Certified Veterinary Acupuncturist with advanced training in Traditional Chinese Veterinary Medicine including acupuncture. Bodies are meant to move. There's actually over a hundred joints in the body, mostly in the spine, which allow normal movement. When joints aren't moving correctly then other areas of the body have to compensate and they start moving incorrectly because they're overworking, the muscles get tight and painful from overwork, the nerves get irritated by the abnormal movement and bloodflow is altered. All of these changes lead to inflammation, altered function of the body and pain. With chiropractic treatment a trained practitioner checks every joint in the body to make sure it's moving correctly. If it's not moving correctly an adjustment is done which allows the joint to then move normally again restoring normal blood flow and nerve function and reducing inflammation and pain. Dr. Aja is Certified in Veterinary Chiropractic by the International Veterinary Chiropractic Association. Nutrition is one of the most important things we can do to optimize health and to prevent and manage disease. In fact in Traditional Chinese Veterinary Medicine the power of food to help the body stay balanced and heal itself is recognized with Food Therapy being one of the 4 branches of treatment alongside acupuncture, herbal therapy and Tui-Na (Chinese massage and acupressure). Every animal has unique needs for nutrition based on their species, breed, age, history and lifestyle. We can develop a nutrition plan targeted to you pet's exact needs to optimize health and well-being to prevent and manage disease. Many conditions can be dramatically improved with just targeted nutrition and food therapy. Check out our Blog for lots more information on food and nutrition. Annual wellness exams are recommended for all animals. A Wellness exam includes a physical examination, Traditional Chinese Medicine examination, chiropractic examination, orthopedic and neurological examinations, as well as an assessment of Body Condition Score, Muscle Condition Score and Pain Assessment. Since holistic veterinary care means looking at the whole picture Wellness exams also include discussions of behavior, nutrition/diet, exercise and environmental enrichment. We will work together to come up with a plan tailored to your animal's unique needs to optimize their health and wellness. These exams are an important opportunity to keep healthy animals healthy and identify potential problems early to help prevent them from becoming significant problems. Whether you have an equine athlete, a canine athlete, or even show dairy goats, Sea to Sky Holistic Vet can help your animals stay in top condition. We'll create a comprehensive, holistic, treatment plan to optimize health and well-being which will also optimize performance. This may include a combination of many holistic treatments like rehabilitation/conditioning, acupuncture, laser, massage, chiropractic, nutrition, herbal medicine and supplements tailored to the exact needs of your athlete. For any herd or flock of farm animals (chickens, sheep, goats, llamas, alpacas) this service covers routine evaluation of the herd or flock including nutrition, housing, management, husbandry and disease treatment and prevention to optimize the health, well-being and productivity of all animals. It may also include routine health care procedures such as foot trims in sheep, goats, llamas, or alpacas. Herd health checks are an important tool in identifying potential problems early to prevent them from becoming significant problems and can help improve production, health and well-being of all your animals. Is your cat walking a little funny? Is your dog hesitating a little before jumping or slowing down? Many people think that this is "just old age" but age is not a disease. Decreased energy, decreased mobility, arthritis and "old age diseases" are all treatable conditions that we can manage with a combination of Western medicine and holistic treatment options. Animals age much faster than people. Cats and dogs have decreased mental and physical capabilities as early as 6-8 years old and by 10 years old about 75% of dogs and almost 100% of cats have developed arthritis. Many conditions common in older animals like arthritis, mobility issues, thyroid issues, kidney disease, and heart disease can be managed holistically with excellent results. Even for healthy older animals as they age they have different needs for exercise, nutrition, and healthcare than young animals. We can come up with a plan tailored to your pet's unique needs to help them age gracefully. For pets with chronic, end-stage and terminal diseases Dr. Aja offers palliative and hospice care with a focus on pain management. We will discuss quality of life and options to give your pet the best possible quality of life. We'll also talk through your pet's disease process, what to expect, and how to plan for end of life decision making. Dr. Aja uses a combination of conventional Western medicine and Traditional Chinese Veterinary Medicine techniques (acupuncture, massage, food therapy, herbal medicine) plus physical rehabilitation techniques, chiropractic, laser therapy, and aromatherapy to help your pet have the best quality of life possible. When the time is right, Dr. Aja will come to your home and help your pet transition peacefully. Please note that due to high demand in home euthanasia services are currently only available for patients in hospice care with Sea to Sky Holistic Vet. Unfortunately due to high demand and the nature of house calls Dr. Aja can't be available on an urgent or emergency basis. For urgent and emergency situations contact your primary care vet or any emergency veterinary clinic. A partial list of emergency clinics is available below. If you're unsure if it's an emergency it's best to call an emergency clinic to discuss the situation. Please take your animal to an emergency facility as soon as possible if immediate treatment is needed. Situations that likely require immediate attention at an emergency facility can include: if your animal has been hit by a vehicle or attacked by another animal, is having difficulty breathing, is having seizures, has collapsed, has eaten something toxic, has a wound, seems painful, or is bleeding.